I have been home on Social Security Disability for the last few years. Now I am using my time and talents to help promote my wonderful church, Calvary Chapel of Mercer County NJ in Ewing and Robbinsville. Combining Social Media and Ministry! I am also back with ASSIST Ministries to promote their work online as well. Connect with me! I am an Open Networker, I follow you back! New post, I would appreciate a visit! Please visit my new post "Your Success and Happiness Lies in You (Helen Keller)"
New project - can really help you or someone you know! 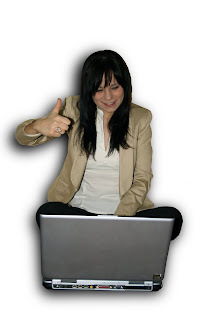 I found this great new way to work at home that does not cost a dime for the first 30 days! There are mentors and easy steps to take to get you to a great income at home. I am now a writer/advisor at Bizymoms.com! I was recently invited to be a writer/advisor on the Women's Business website, bizymoms.com. It is very important to be comfortable online when working from home in this day and age. You can meet people that are local to you or anywhere around the world depending on where you network! THANK YOU, for being a BRANDERGY FRIEND, Sally!